David's third full-length collection of poetry, Star Struck, is now available from UWA Publishing. With poems ranging from the confessional to the mock-autobiographical, from imagism to a strange storytelling, from the comic and satirical to the plangent and disturbing, Star Struck startles us with the many faces of lyric poetry. This book of poems by the award-winning poet David McCooey is made up of four sections. The first documents an alienating encounter with a life-threatening illness. The second plays out an unforgettable obsession with darkness and light. The third brings together popular music and the ancient literary mode of the pastoral. In this highly original sequence we find, among other things, Bob Dylan singing Virgil, Joni Mitchell reflecting on life in Laurel Canyon, a lab monkey pondering the sound of music, and a bitter, surreal rewriting of ‘Down Under’ for our times. In the final section, narrative poetry is cast in an intensely new and uncanny light. You can read the launch speech for Star Struck by the poet Cameron Lowe here. 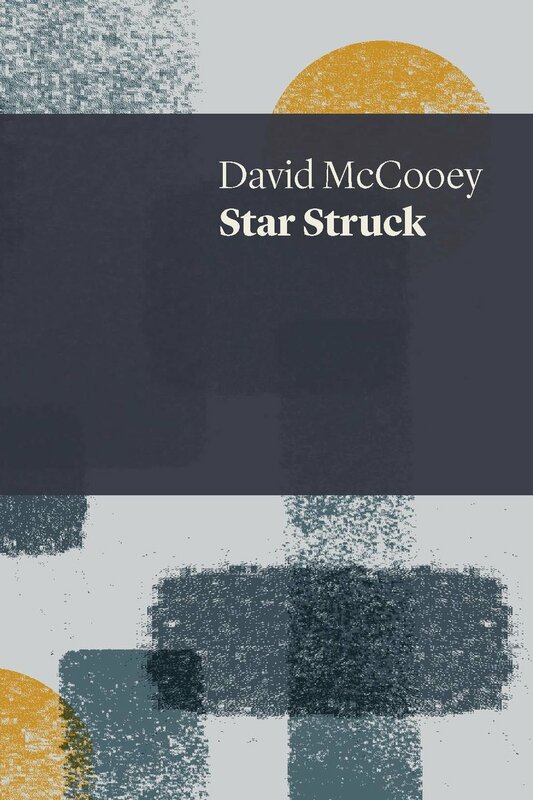 In the beautifully calibrated “cardiac ward poetics” of Star Struck, David McCooey re-energises the old binaries of life and death, public and private, culture and nature. Irony’s the pacemaker here, driving these superbly restrained poems home, though never at the expense of feeling and tenderness. McCooey understands, unsentimentally, that we are all trapped together on the “ward”. I would rather read his poetry than that of anyone else of his generation. Star Struck by David McCooey - promo from David McCooey on Vimeo. Star Struck Book Teaser from David McCooey on Vimeo.